When selling to the oil & gas vertical these 10 rules will set you apart from your competition and ensure your success. Understand the clients business. It challenges, constraints, their KPI’s, business culture and the problem that your solution is solving. Read (and understand) the annual report or at least the 10K and truly comprehend how your client makes money. Also understand their competitive differentiators. Know their business better than they do and stay on top of news and events that may affect it. Regardless of what you are selling, make it a business issue. So instead of selling software to IT, take what that software does and align it to a business issue. Make sure you can verbalize the business case and real value of investing in your product or solution. The business side of oil & gas has the majority of the budget and can make buying decisions much quicker than anyone else. So the business is where you should be selling, not to IT, HR, Legal, HSE, etc. Before you can formulate strategy, you need to gather all the necessary information. The size and scope of the problem your solving, its cost to the business, the cost of not fixing the problem, the names and roles of the decision making team & their geographic location, budget available, buying process of your client, timeframe to make a decision, who your competition will be and any hard success metrics that you have from previous clients that are similar to this one. 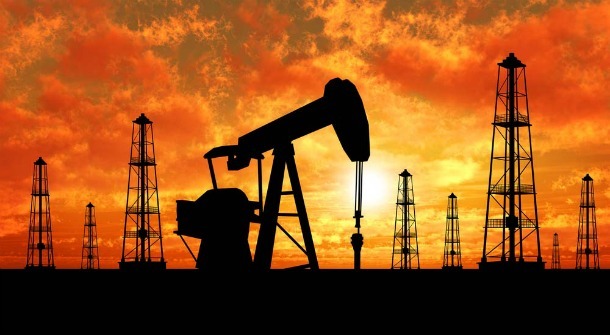 Remember that in the larger oil & gas companies there are multiple business units (BU) that do not communicate. So Halliburton’s Well Control is a totally separate culture than their Coiled Tubing BU. So insure your data accurately reflect the BU you are dealing with. Even for small sales this is important. The process varies but basically you want to apply logical rigor to the process of taking your client from initial meeting to closing the deal, taking into account all the different factors. For a template to build a strategic sales plan click here. You need to really understand the organizational dynamics and business culture of your client, then set the agenda with the business by aligning yourself to the biggest problems that your solution can solve. Then stay focused on that problem & solution and do not let yourself, your team or the client get sidetracked. You need to establish a credible and high trust relationship with at least one senior person in the business. Your day to day dealing will probably be with people much lower down the food chain, and your senior person may not attend most meetings. But if things get stuck, you need to have someone to air your grievances too that sees the bigger picture. Often establishing that connection can be achieved through third parties or through proper networking. The organizational chart can be misleading and it is essential to understand the power-base and influence-dynamics that transcend the visible structure. Remember that the oil & gas industry is truly global, so there may be dual reporting at the geographic and the business unit level. Align your value with serious problems, important outcomes and winning agendas. Solutions must be embedded in the customer’s business processes and not within the micro-group that you may be talking too. Sales cycles in oil & gas are the longest of any vertical I know. Because of that you need to be very aware that your actions today will influence the sale a year from now. One of the benefits of building a strategic plan is it allows you to stay on track with daily/weekly/monthly tasks so that your sales momentum is never lost. Risk resides in what you cannot control and especially from ignorance. In the software industry, 90% of risk is in demonstrations (think about it). Across all industries, risk also resides in people that may interact with your client. Anyone on your team afflicted by arrogance or an inability to listen represents enormous risk. Beware of your own executives who seek to interact with your prospect because they can easily say something damaging or introduce unwanted information. Competitors are a risk only if you do not know their business, so learning their strengths and weakness is just as important as knowing your own. You can go through life seeing your glass as half empty. Or you can choose to go through life seeing your glass as half full. The oil & gas industry is a wonderful place for professional salespeople, as you get to truly help people and solve real business issues. And you get paid VERY well. So enjoy the experience!